The process of fueling up is such a drag. It’s inconvenient, time-consuming, and your gas tank always seems to be on the verge of empty when you just want to get home. Thankfully, Buick has come up with a way to make stopping for gas easier and faster than ever. Buick models with access to the Buick Marketplace will be able to download the ExxonMobil Speedpass app, which allows drivers to pay through the convenience of their app. The ExxonMobil Speedpass app is compatible with over 11,000 Exxon and Mobile gas stations across the United States and lets drivers pay in their vehicle without swiping a card. Drivers can even earn points through the rewards program. 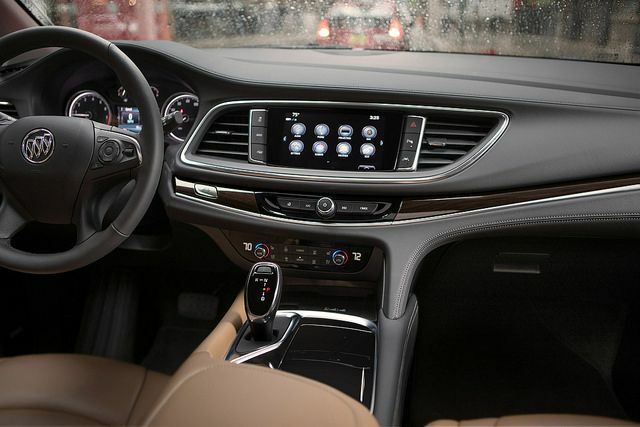 In order to use the app, Buick drivers simply have to press the app icon through the interface of their vehicle’s infotainment system, allow the app to detect their location, and then select a pump and payment method. The app will be available free of charge. The ExxonMobil Speedpass app will make everything from the daily commute to long-distance road trips easier than ever for Buick drivers. This partnership isn’t the only way Buick makes filling up more convenient, however; all recent models come standard with capless gas tanks, too, for quick and easy fueling. Looking for more ways to increase mileage so you don’t have to stop for gas as frequently? Visit us at Bradshaw Automotive to test-drive one of our efficient new vehicles.